I started off our week together with dessert because that's just how I roll. I'm the kind of person who digs through the grocery store bags to find the cookies and eat them in the car on the drive home. I'm also the kind of person who eats dessert while waiting for dinner to cook. Whoever said dinner should come at the end, anyway? Well, I've got something easy, light, summery and fairly healthy for you today. 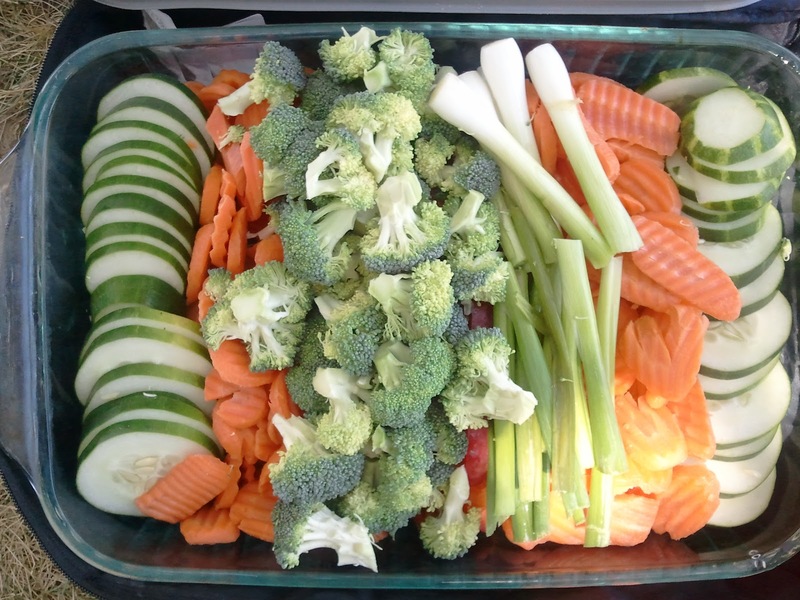 I had taken this big ol' tray of veggies to a picnic the weekend before. Mmm, veggies. 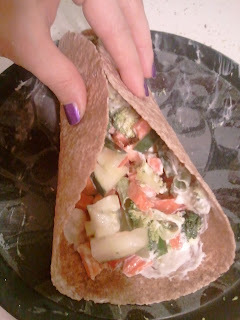 Then I was busy and stressed all week, which led to too much takeout and frozen veggie burgers. 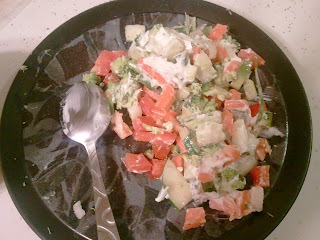 By Friday, the leftover veggies were still in Tupperware. I sliced up a handful in tiny bits and mixed in some leftover ranch dip. 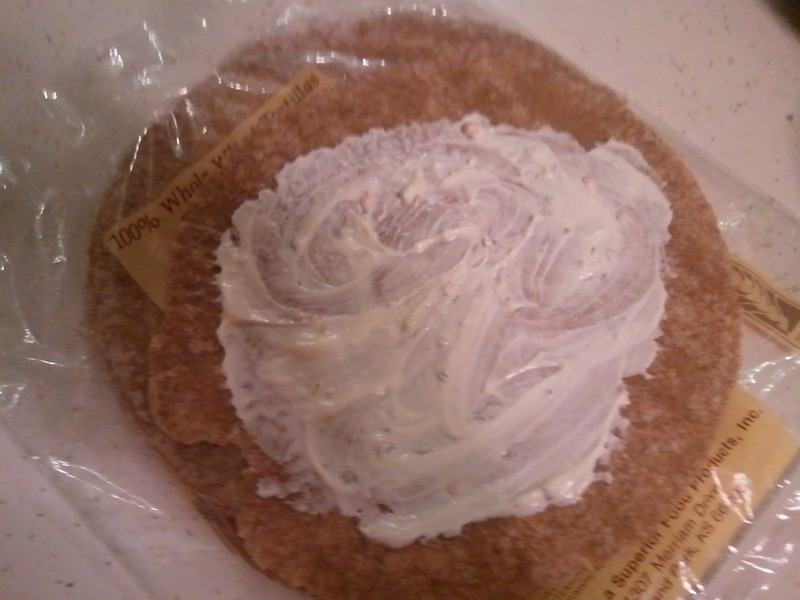 Then I spread a little more ranch dip on a wheat tortilla. For once, I'm not adding cheese, so I wanted to make sure this was still creamy and not dry. Then just eat it like a cold summer soft taco. Yum! My veggies consisted of scallions, red pepper, broccoli, carrots and cucumbers. Any veggies would work. It's just a fun way to reimagine some leftovers.